What does a sold out theatre show and a global pharmaceutical giant have to do with persistence? Read on to find out. Recently I was at an event at the Houses of Parliament. The aim was to highlight an initiative to encourage more children and young people to consider and enter careers in STEM (science, technology and engineering). As a former maths teacher and engineer I was happy to receive an invite. The host, pharmaceutical giant Pfizer, had launched Science in a box. which involves real life scientists teaching and inspiring children in schools along side their normal teachers. My train from the shires into London comes in to Kings Cross station and I always amble off my train and jump on the tube to Victoria then happily stroll the 10 mins or so above ground to Westminster rather than switching at Green Park and losing half of my life at the jubilee line interchange (boring hell dimension) to come out at Westminster station. 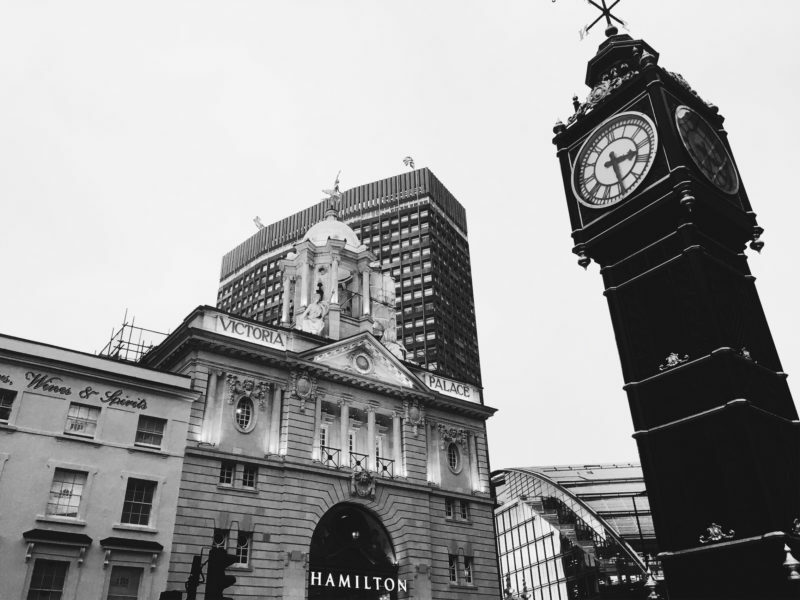 On this particular day I seemed to be paying more attention than usual to my surroundings (maybe my morning meditation is having more of an effect than I realised) and I noticed that the play Hamilton was on at the theatre directly opposite Victoria station. If you are into theatre, Hamilton is kind of a big deal. It had great reviews in New York where it opened and the hype has continued in London. Apparently it’s very difficult to get tickets and my friends who have managed to have been very smug. “Hmmmm” I thought “Wonder if they have any spare tickets? I’ll give it a go on the way back.” It’s not uncommon to be able to get tickets for London shows for the same day at reduced prices if you get to a theatre early enough but I knew it would be a long shot for something this popular. In the past I’ve been bumped up to front row tickets worth several times what I’ve paid but I’d never tried to get into a sold out show I wasn’t already going to see. The Houses of Parliament event was much more fun that I had been expecting. There were the usual speeches from MPs and corporate representatives. But most enjoyable were my discussions with some delightful 10 and 14 year olds who were keen to share their knowledge of what it took to take a medicine from idea to market (£1.4 billion pounds and about 12 years apparently). I also got talking to interesting people from the department of trade and industry and spent time playing a great board game with some 14 years olds who taught me about the manufacturing process of a medicine. After being suitably professional, eating lots of mini samosas (the kids at one school had hoarded a massive stash which they kindly shared) and drinking about a litre of apple juice it was soon time to leave and I decided to follow up on my earlier impulse. The doorman/security guard at The Victoria Palace theatre opened the door for me and I felt the blast of hot air on my skin, much welcome as I put down the hood of my parka. Then I went over to the man who I assumed to be at the ticket counter. Leave work in Dalston on a Monday a bit earlier than usual. Specifically, Monday because I’m already in London so it’s not an extra journey and because it’s the start of the week and many people are less likely to want to be out late then. Then I’ll get to Victoria from 3.30- 5pm. Well before the usual 6pm that the queue starts forming. I’ll wear a big warm coat and be like a short, female Ranulph Fiennes or Jon Snow to be ready for the winter cold and bring a book to read because predictably my phone battery will probably die and I’ll be there for a few hours. I’ll bring some actual cash rather than my usual card life and I’ll joke with the patient and hard-working staff who will hopefully let me barter and knock down the price. With that, if I really want it, I’ll get my ticket. I’ll persist and I’ll put myself out. I’ll wait and have patience because I’ve done my homework and I know what it takes now and that’s what we need to do if we really want something that is scarce and valuable. Save me some time and effort and follow my steps and get a discount ticket for Hamilton. Then call me up and tell me to join you. Enjoyed reading this blog post? Subscribe for future ones you’ll also get a free copy of my ‘9 Lessons for unexpected leaders’ pdf. I got two tickets for May with my brother – there are tickets as low as £37 but they’re for quite challenging seats. We went for £57ish seats, where we’ll drape ourselves over the box edge to see. If I see any of your smug friends, I’ll say hi! Ha! Hope you enjoyed it.